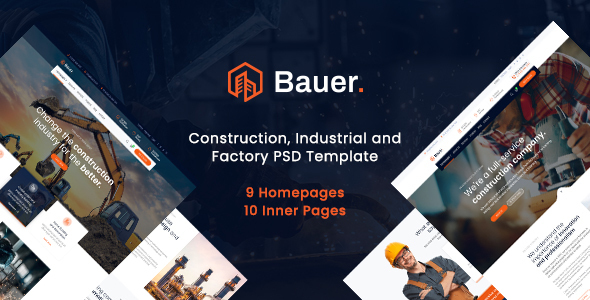 Bauer is a multipurpose, professional, clean, creative, corporate, modern and easy to use PSD template which is suitable for all areas. It’s ideal for any company project. You can edit easily this PSD, it’s 100% customizable. All shapes are resizable, with no quality loss, removable and editable. This PSD template is perfect for convert into HTML, WordPress, Joomla and other CMS. Please don’t forget to rate us 5 stars and WRITE A REVIEW to support us to make new awesome designs. Enjoy! Note: The images used on the demo site are for demonstration purposes only and are not included in the download file. We have included placeholder images for each instance.